It’s that time of year, where a global community of agency partners, experts and transformative industry pros join Sprout Social in one inspiring space. We get to the heart of the buzzwords, get to know one another, and ultimately, walk away with the knowledge to help our organizations thrive. Last year’s Agency Partner Day was such a success that we decided 2018 needed to see more—more speakers, more partners, more food, more drinks, more space. Partners traveled from far and wide for this one. In case you missed it, or if you just want to relive all the goodness, we’ve compiled all the biggest takeaways from our 2018 Agency Partner Summit. Our industry has never been just a B2B world or a B2C world, it’s always been a human to human world. No community understands that more than agencies. This event embodied that concept. The big themes throughout the day were connection, trust and evolution. We heard it from our speakers, we saw the words lit up against the backdrop of the Art Institute, but most importantly, we felt it in the camaraderie of coming together to share in the talent, intelligence and humanity behind the work we accomplish everyday. The big idea amongst so many of the speakers was connection—it may be a buzzword, but what does it really mean to agency professionals? Diana Helander, Head of Marketing, Twitter Data & Enterprise Solutions, broke it down with a simple example for us: Serena Williams—yes, the tennis record-breaker—created a moment with Twitter that exemplified why connection in the social landscape is so important. Williams missed her daughter’s first steps. And the first place she turned to lament was Twitter. A true moment of connection everyone can relate to—moms, dads, sons, daughters reached out to the tennis champ to share their encouragement, not because she’s Serena Williams, but because she’s a mom. A worldwide moment of human connection. That’s the power of social. For agencies to put that concept into action, Helander advises to start with the people themselves. People on social aren’t passive passengers, they’re active, driving the conversations that shape culture. The value of a social audience lies in their influence, their receptivity, and the results they drive for brands. The conversations are already happening out there. The insights you can glean are what connect your business to them. In her presentation on navigating the complex landscape of social, LinkedIn’s Ty Heath, Global Lead of Marketing Development, built off some of Helander’s points, noting that trust plays the most important role in what we do. The most successful individuals build networks. B2B success is marked by how strong and authentically connected your employee network is. Heath drove home one salient point—If you want to go far, build a team. Broaden your horizon and connect beyond the c-suite. How did Warren Buffet get so fantastically rich? Undervalued assets. Marketers aren’t exactly investing in assets, but rather in audiences. Are there undervalued audiences? Yes. They’re individual contributors—55% of current tech buyers are individual contributors. Ignored audiences influence buying decision. It’s those ICs that will be making the buying decisions of tomorrow. And all this time you haven’t been talking to the customers of tomorrow. The good old marketing funnel. Have you ever thought it needed an update? Our speakers did. Both Sprout’s Director of Customer Success, Claire Schlafly, and HubSpot’s Global Marketing Director, Angie O’Dowd, had strong opinions about how today the funnel we know and live by more accurately resembles a wheel, with customers at the center. Customers and clients today have all the power. They’re at the center of your strategy. The flywheel reminds you that your customers aren’t just an output, they’re a part of the engine. Other speakers and panelists echoed this thought throughout the day, reinforcing the importance behind “customer-centric” marketing. O’Dowd identifies as a full-funnel marketer, but didn’t want us to forget that the funnel isn’t the whole picture. That seam between marketing and sales is where opportunity lives. It’s the handoff there that is the most important place to focus, yet so undervalued. Did you know 69% of buyers expect an Amazon-like experience? And 70% of customers say connected processes—like seamless handoffs or contextualized engagement during early interactions—are important to winning their business. O’Dowd is intimately familiar with the untapped value between marketing and sales. The marketing director admits that five years ago she, as a marketing manager, didn’t know her sales team very well and didn’t realize how important it was to work side by side with them. This is illustrated with a photo of her and a sales rep she didn’t know at the time in the same frame, completely unconnected. In the midst of such great speakers, we featured two panels where brand experts had a moment to pull back the curtain on agency culture, partnership and how to avoid surprising your clients. 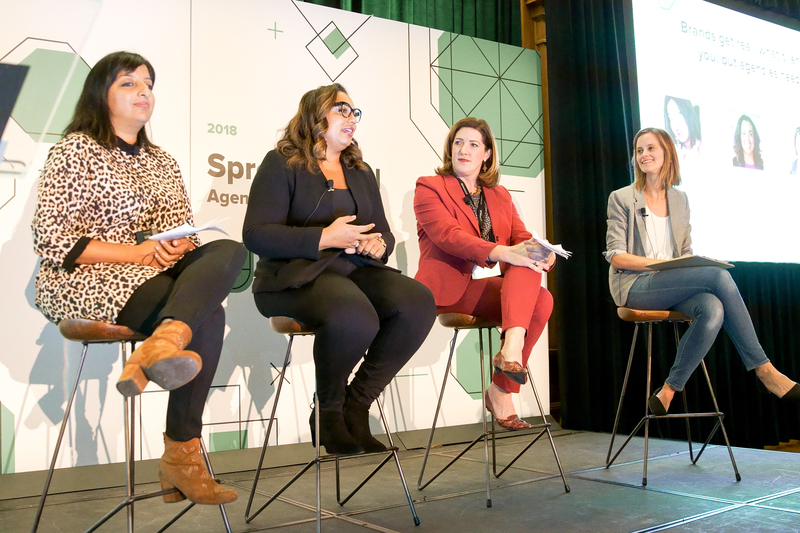 To kick the panels off, Sprout’s own Kelly Marberry moderated our agency owner panel, featuring Marie Hale, Co-Founder and CEO of @revenue, Elissa Nauful, Founder and CEO of Ballywho Social, and Beth Newton, Partner and Chief Content Officer at alpha | BRAVO. “You have to be professionally in love with your clients,” Hale said, stressing the importance of seeing how you play together before producing a strategy. The spirit of the conversation turned to the importance of digital education, with Nauful making the chief point that the rapid and constant change in social means agencies have to be 15 steps ahead to hire for positions that didn’t exist before. Newton touched on the idea that there comes a point where it almost feels like do or die with agencies, and that’s where a blended workforce model comes in handy— to strike a balance hiring carefully and creatively, it’s good to have freelancers. Hale sees agencies eventually moving into full-service, doing all the implementation and being there to be accountable for the results you’re seeing. “Once [clients] start to get it, they see the possibilities and turn to someone they trust to execute,” Newton said. Lizz Kannenberg, Director of Brand Strategy at Sprout, uncovered similar takeaways during the brand panel, where we heard from Pooja Van Dyke, Associate Director of CreativeWorks at ESPN, Kamilah Jones, VP of Marketing at New Teacher Center, and Becky Chandler, Senior Director of eCommerce at U.S. Cellular. From high tech to digital UX to ecommerce, the panel came together from varied backgrounds and disciplines and made it clear that brands are looking for agencies who cut clutter and are willing to partner. The group agreed that a lot of what agencies do lies in digital education. “You need to be a trusted source. Nine out of ten times you’re going to have folks that don’t speak the digital language,” Van Dyke said of her experience. There’s a strong theme of partnership threaded throughout the conversation, as each panelist spoke to the idea that the client and agency relationship can feel “othered” at times, as though the client is just a problem to solve. But there’s an appetite for true partnership. The only complicated agency partnership is perhaps working with other agencies. “The dirtiest word in agency life is ‘inter-agency team,’” Kannenberg said. That said, the panel stressed the importance of diversity of thought. You never know what you’re going to learn from other agencies that support the brands you work with. “A successful piece of content isn’t the most impressive part of the client agency relationship, it’s how we got there,” Van Dyke said, emphasizing process. Chandler cites setting clear guard rails and finding how each agency’s skill set compliment each other as solutions toward success when working with other agencies. The panel was finally asked if there’s anything on their mind they haven’t solved yet. For Jones, one of things they’re moving toward is having a diverse organization with both promotion and development strategies. 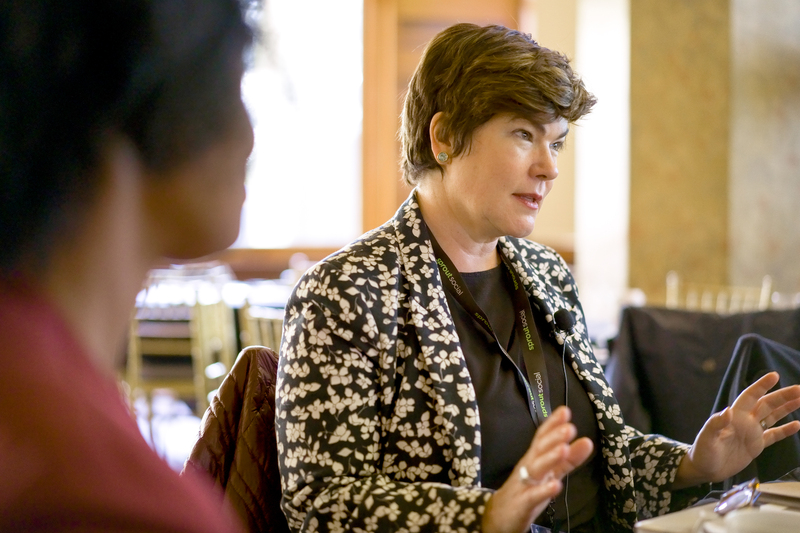 She hopes that agencies will start to think about how they’re really increasing the diversity of staff, voices and structures. Partners kept the momentum going at Sprout HQ after day one. But not before they fit in some quintessential Chicago sights. And amidst the good food, good spirits and good conversation, we were all waiting for one thing: Partner Value Awards! 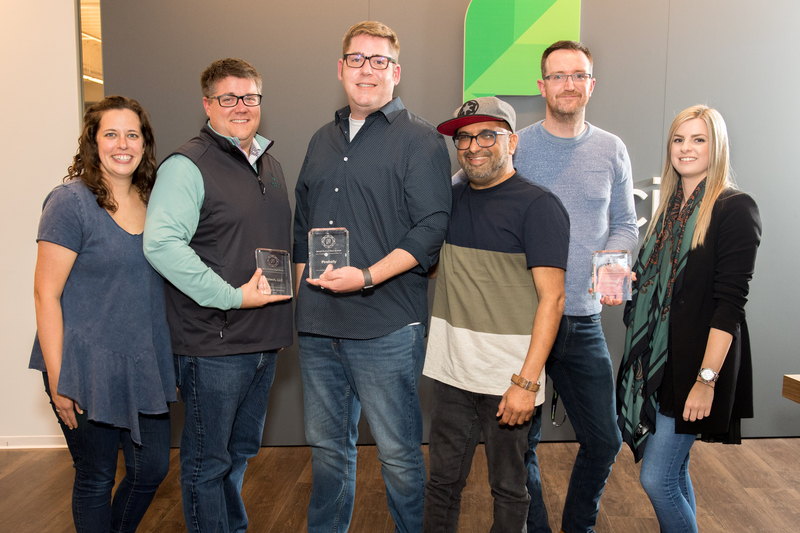 Sprout’s second annual agency partner summit saw a fresh batch of talented submissions for this year’s awards. From the ‘Cultivate’ award to the coveted ‘Social Campaign of the Year’ award, our winners spanned every type and size of agency, hailing from across the globe. Cultivate: This award is for a partner that went above and beyond on behalf their clients. Always Be Growing: This award recognizes a partner who has taken advantage of the partner program’s resources and has seen or laid the foundation to see remarkable results. Sprout Partner MVP: This award will go to a Partner who excelled at their advocacy efforts. Social Media Campaign of the Year: This award is given to a partner who submitted one of their or their clients’ campaigns that was creative and strategic in achieving the clients’ stated objectives. A big congratulations to everyone! You’re changing an industry we all love. One day wasn’t enough. On the second day of the summit, we came in inspired and refreshed, ready to put our learnings into action on behalf of our clients and our agencies. Agency practitioners and owners were ready to go all in to build better social strategies and client services. Willie Mullen, Sprout’s Senior Manager of Agency Sales, and Lindsay Mullen, Co-founder and CEO of Prosper Strategies—both a couple in real life and a dynamic duo in the agency world—spoke to the rules of engagement when finding a fit during client discovery. The trick to finding the right fit is in understanding the power dynamics from the beginning and leaving yourself the room to adapt. Lindsay made it a point to say that when it comes to budget, money shouldn’t be uncomfortable to talk about. Embrace the conversation to assess fit. That’s how you know you’re getting the right clients through the door. Finally, the speakers and panels and fireside chats came to a close. But there was still work to be done. Sprout set aside some 1:1 time in the afternoon for partners to connect with their dedicated success and channel managers, or just generally chat with the Agency Partner Program team. 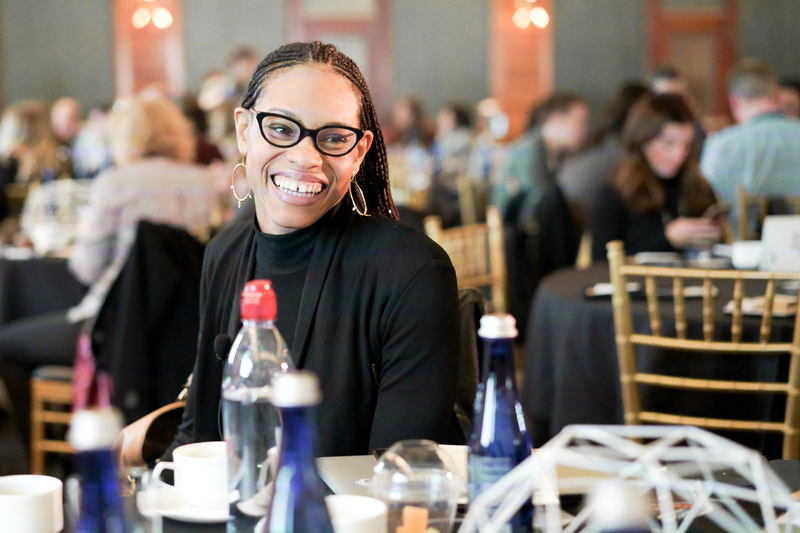 Among many things, Sprout’s second annual Agency Partner event was an opportunity to see how vastly different people, with different professional experiences, philosophies and goals along their journeys work toward the same finish line. Interested in learning more about the Agency Partner Program? Let’s chat. Heliz Mazouri: Heliz is a Copywriter and Content Specialist at Sprout Social. She splits her work between managing and editing the blog and finding new stories to tell about social. Outside of work, she's still seeking stories to tell, just with a cocktail in hand.